Why sailing in the Fall is best time of the year to be out on the water. Why Sailing in the Fall is the best time of year to be out on the water. b Here in Utah, we have a favorite time of year to go out sailing. Nope, it’s not on the fourth of July when it’s nice and hot…and it’s not in April when sometimes the water in the lakes are still frozen…you probably guessed from the title, it’s during the Fall. Early Fall, to be exact. Most years we have been fortunate enough to get a little Indian summer going all through September and well into October. 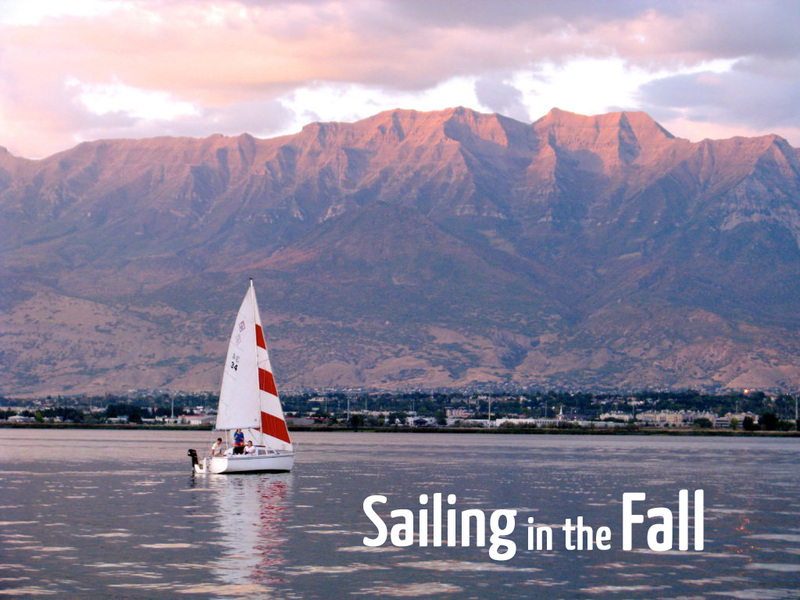 Sailing in the Fall has so many advantages (including summer sales on all sailing stuff ) to it and there are three major reasons why we love it. The third and most important reason is number three…we get the best wind sailing in the Fall. During the summer, we have hot, dry air and that just seems to sit and take a seat in the middle of the day. Sailing translation – you can’t go anywhere in the middle of the day. Only early mornings and late evening sails are worthy of raising the sails and powering down. Cold air/water sinks – warm air/water rises. The northern hemisphere begins to tilt away from the sun and thus cools, the air drops. This change in temperature stirs things up causing some air movement along the earth’s surface. The same thing happens with water. Which means, sailing in the Fall is a sailor’s dream. Hopefully you can get out and enjoy some good sailing in the Fall. Give us a shout if you like sailing in the Fall too. What’s your favorite time of year to sail?